To be black in Beijing, China is to almost be like a circus act. One to be gawked at, watched, photographed, and treated as if you are only there for their pleasure.When I was considering buying a ticket to Beijing I spoke with a black friend who did 10 weeks of research in the city and said she would never go back, that she was scarred for life from that experience. 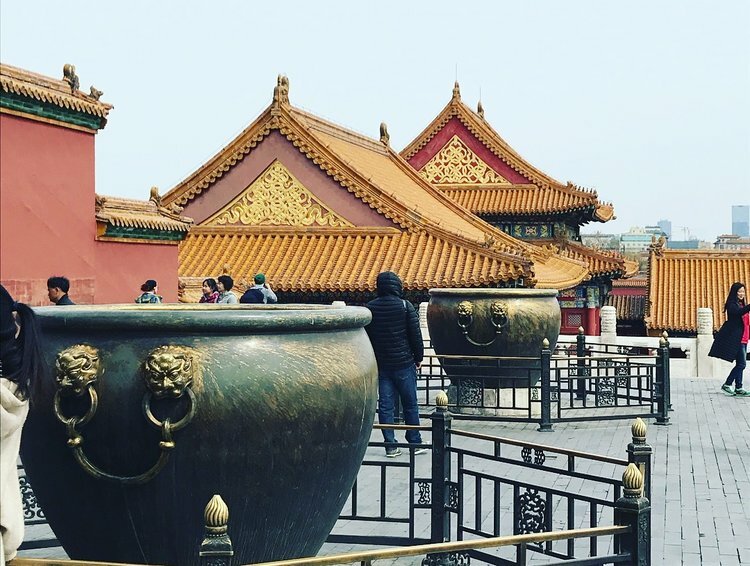 I never fully understood what she meant until I experienced it myself and felt as if I was scarred- and I only spent three days in Beijing. Part of that comment above I can agree with. We have to remember how homogenous Beijing andChina is. I am an oddity, something they possibly have seen on TV, but not inclose proximity. I know how I feel when on a safari and I see a lion or elephant, I get excited and try to take as many pictures as possible with the animals. I understand the feeling. However, if I am on a safari and I see the animals I want to take pictures of start to get upset and uncomfortable,I stop and hightail it out of there. I recognize what is occurring and for both of our sakes know when it is time to leave. Even when there are people who I want to take pictures with that might not want to take pictures I look and acknowledge their body language of being upset or uncomfortable, but that was not the case when I was in Beijing. 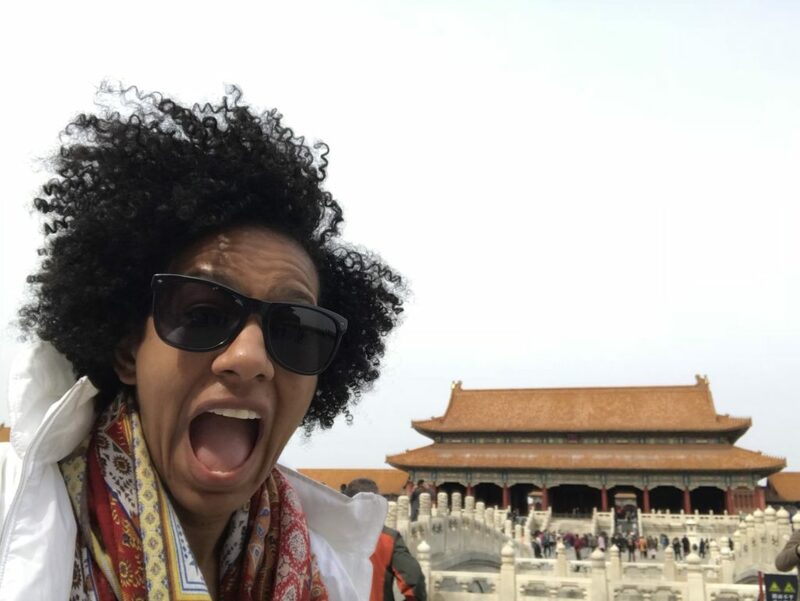 As I said before, I previously spoke to friends about their experiences in Beijing and was surprised that mine weren’t the same… until I went to the tourist area surrounding Tiananmen Square the attraction. As I was walking down Qian’men Street, I started to become a circus act when a girl jumps in front of me as if she is with friends taking a jumping picture. I sidestep to the left to keep moving and she does it again, and at this point, we are near her group of friends. It was then I see them laughing and realize her whole purpose in doing this is to have me in the picture. I get visibly angry, put my hand in front of my face, and give the shoo away sign. Not only does that not work, it actually makes her want to try another method to get me in her picture. At this point, she tries to put her arms around me to take the picture. I literally have to put my hands on her chest and push her off. She and her friends laugh this off and after one more attempt to take the picture of me, end up walking away. I became the lion in the circus to try to pet and take pictures with. I walk away in absolute shock that another person would intentionally disregard someone personal space and visible anger for a picture. She seemed to be giving a sign to other people that it was not only acceptable do continue forcing someone to be in a picture, but that their picture was more important than the consent of another person. As I continue my path towards Tiananmen Square I come upon a large Happy New Year 2018 display people could take pictures with. I stand and attempt to take a picture and notice an older Asian lady trying to take a picture of what I thought were her kids so I step out of the way. Nope, she is trying to take a picture of me. I give the no sign and cover my face yet she continues to try. She then comes up to me to grab my arm to try to take a picture with me and continues to badger me be in a picture with her. After several nos her daughter can tell I am getting more and more visibly and grabs her to tell her to leave me alone.But that seems to not stop her because she feels the need to KEEP TRYING TO GET ME IN THE PICTURE WITH HER. Again, I did not matter at all. My angry did not matter. Her picture was worth everything. It then moves from the obvious to the covert. It moves on from the grabbing me to the covert taking pictures over the shoulder or using lowered camera. It did not matter how many times I said no, it did not matter if I covered my face, got angry, or turned away. Like I mentioned before, all aspects of my humanity were overruled by the goal of getting the picture. I can understand curiosity and want to look at someone you have potentially never seen before. I can understand wanting to have pictures, but humanity and respect have got to be worth more. As I waited in a two-hour security line the attempted pictures started. I started to seethe woman in front of me obviously trying to take pictures over her shoulder, I cover my face and give the shooing motion. She continues to try to take my picture. Now I get visibly angry wagging my finger, but that does not seem to matter, she is determined to get her picture. Finally, me almost putting my hand on her phone made her realize I did not want my picture taken. This wanting of a picture of me or with me got old really quick. I felt like the old bears at the circus who got tired and started attacking everyone. My method of attacking was to acknowledge I saw them take the picture, confront them, making them delete the picture right there and know that I know what they were doing and possibly why they were doing it. Every time I saw someone taking a pictureI walked over, looked them in the eye and made them delete them. HeatherGreenwood Davis was wayyyyyyyy more kind and considerate than I was with her family and how they were treated in China. In her article, “Being Black in China” she told of…”her husband who would be right behind her and then disappear into a crowd of elderly women intent on rubbing his bald head and pinching his black skin, or her kids would suddenly go missing, pulled by some mother who was determined to have them pose with their son or daughter.” Nope. Nope Nope.She is a better, more understanding person than I am and I have complete respect for her for understanding and allowing it. There were people that I wanted to photograph when on vacation, but then I remember how I felt about my picture being taken without my knowledge. If I don’t secure the yes or nod then I am not taking the picture. If you aren’t going to be able to proudly tell them why you are taking their picture, then don’t take it. Your intent of being funny can leave a lasting impact on those you are trying to take a picture of, I know it did with me.